The Porsche Panamera was Stuttgart's first foray into producing a super-saloon to revival the likes of the BMW M5, Audi RS6 and the Mercedes E63 AMG. With the aim of blending the extensive racing pedigree of Porsche with the practicality and luxury offered by its Teutonic rivals and cars such as the Maserati Quattroporte and Aston Martin Rapide, the capacious Panamera offered a plethora of technological amenities including fully adjustable climate-control, infotainment system and a high-quality sound system but it was in the performance category that the Porsche truly excelled. 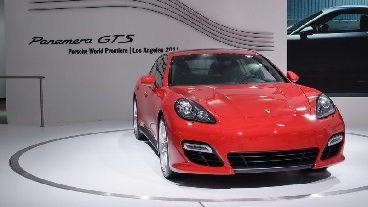 The GTS trim with a naturally-aspirated 4.8 litre V8 producing 430 horsepower up front powering the rear wheels through Porsche's new PDK dual-clutch semi-auto transmission was offered to be a more driver-experience focused car compared to the blisteringly fast autobahn-cruiser Turbo model which featured a turbocharged version of the same engine powering all four wheels. With such a large and powerful engine mounted up front, the efficacy of the front radiators and heat exchanges to cool the motor down and keep it running perfectly is paramount. The stock plastic grilles, however, are susceptible to damage from debris such as pebbles and sticks that can puncture the grille when travelling at a high rate of knots as you may well be in a Panamera GTS. This debris could then go onto damage the radiator and potentially the V8 if it overheats. As well as this, long-term ingress of dirt and leaves can cause increased wear and corrosion of the front brake discs, which could result in a loss of braking performance and costly repairs. Constructed by hand from high-quality stainless steel, these front grilles for the GTS are woven-wire mesh that is far stronger than the stock plastic unit and offers your Porsche superior protection from potential debris damage. Available in either a nylon-polymer glossy black finish for a stealthy appearance, or in a shiny electropolished silver finish that showcases the simple and elegant design of the grille, this modification to your Panamera can also add a subtle touch of individuality and flair to your vehicle as well allowing you to mount additional lights to the grille should you wish and can be fitted with only a screwdriver and a spare half-hour or so.